Travel Assistance by Europ Assistance India is an extended medical and travel risk that could be offered to you. This service provides members with peace of mind in knowing that medical and travel related risks are covered. Assistance includes: outpatient and in-hospital assistance; emergency medical evacuation and repatriation as well as a comprehensive medical advice and assistance service; interpreter referrals; lost luggage assistance; legal referrals; arrangement of bail bonds and many more. Europ Assistance India provides assistance solutions that are tailor made to your travel habits. 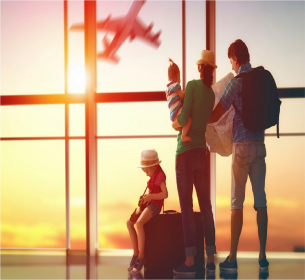 Starting with the preparation of your travel until you return home, Europ Assistance India shall take care about you 7 days a week and 24 hours per day, so you can enjoy your journey with complete peace of mind.